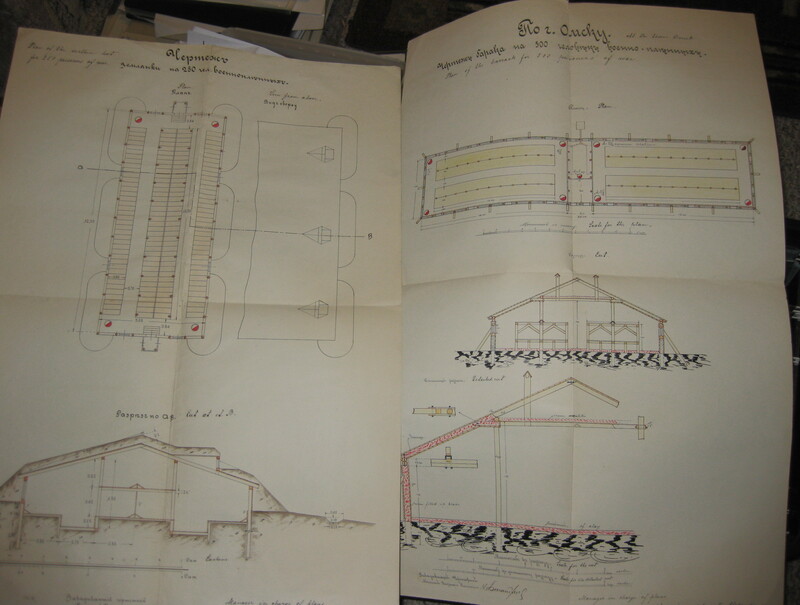 The archives and collections posted here have most likley not been seen in any public venue. 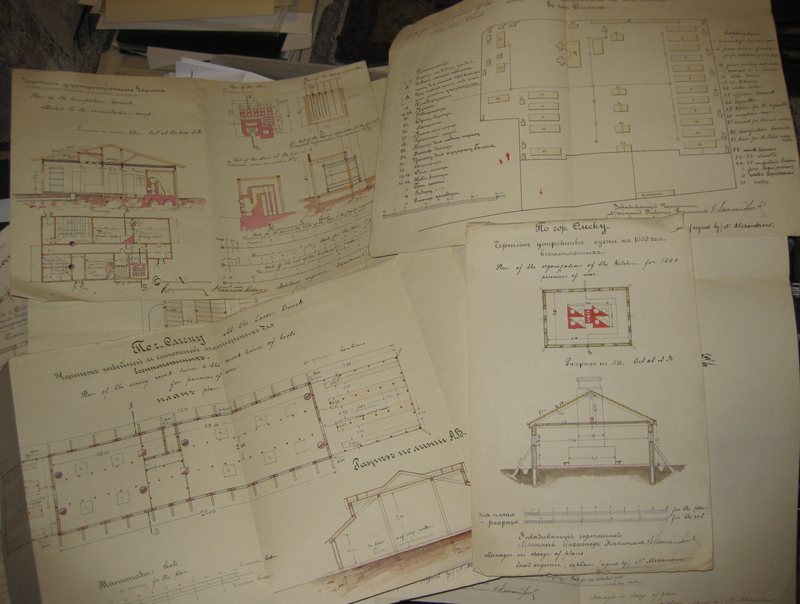 They were purchased in their entirety and kept together as found, allowing a complete look and insight into the secrets they hold. 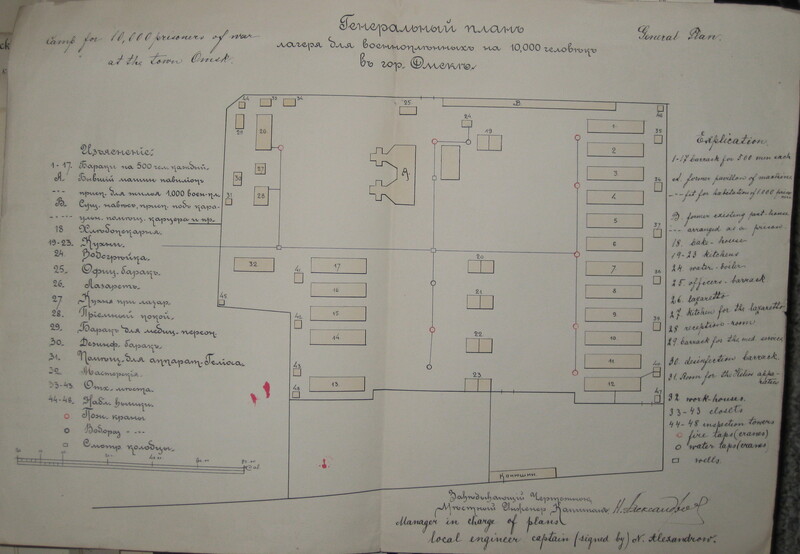 This is a wonderful original archive, dated 1915-1916, regarding the Soviet labor camps at Omsk, Petrograd and several others. 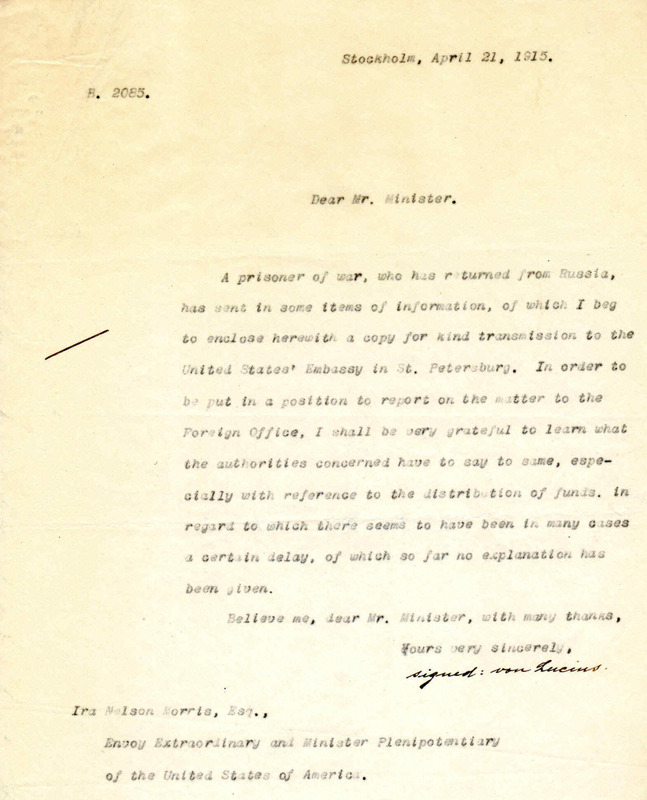 The information flow is through Ambassador George T. Mayre, the American Ambassador at Petrograd. 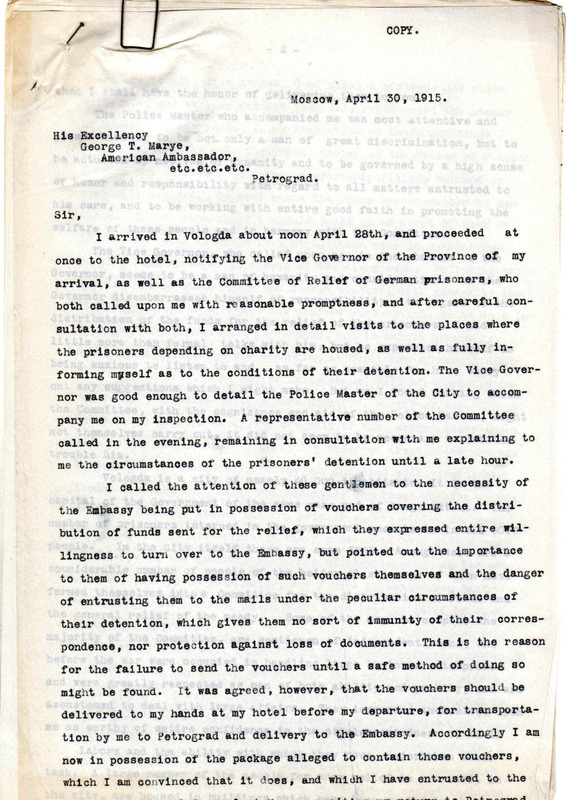 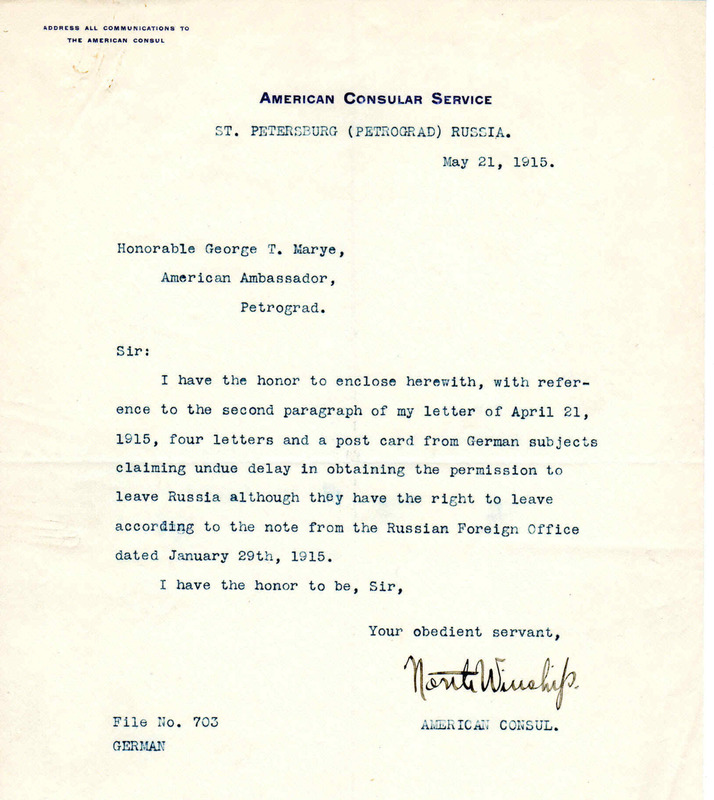 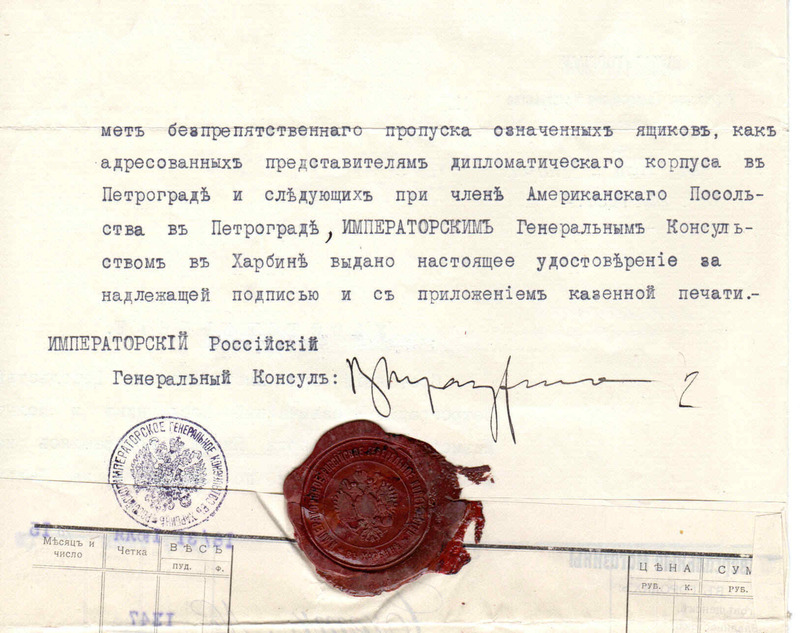 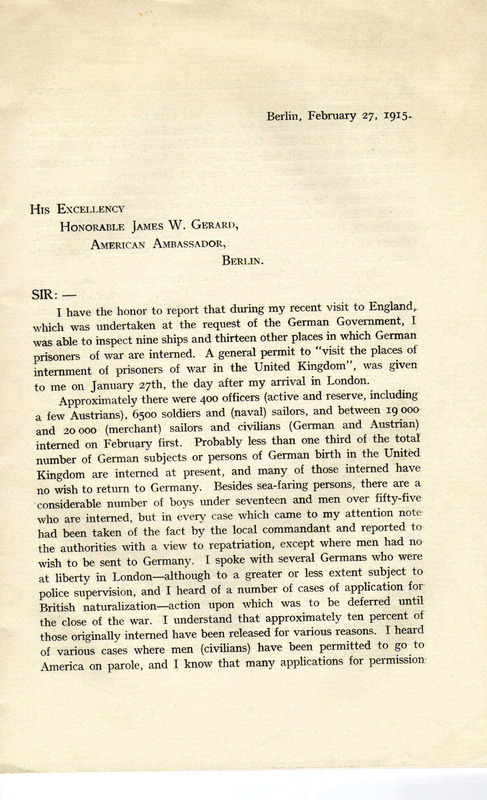 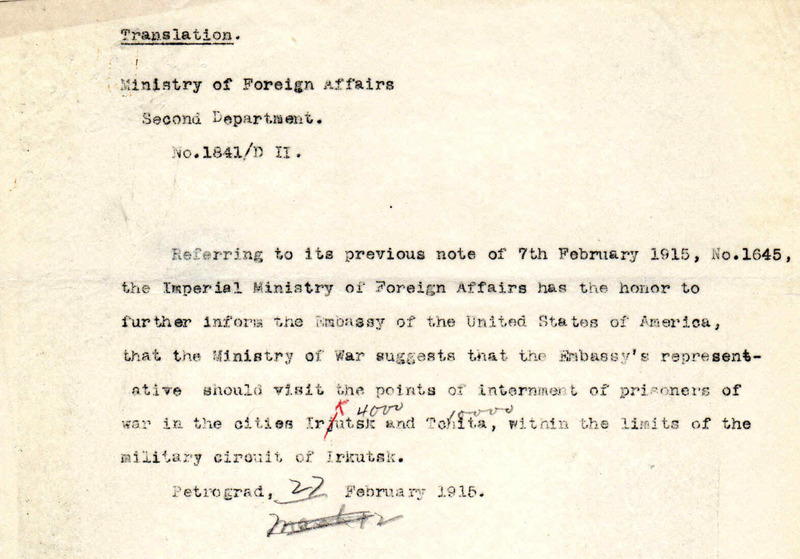 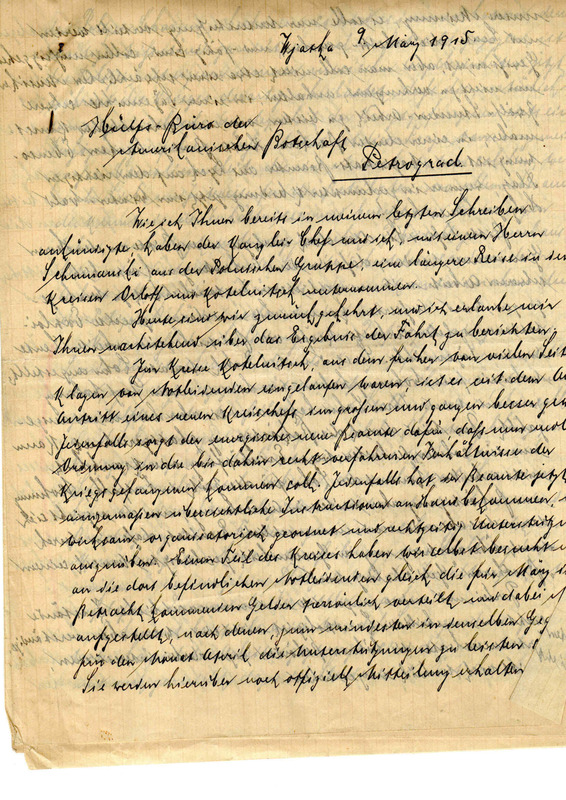 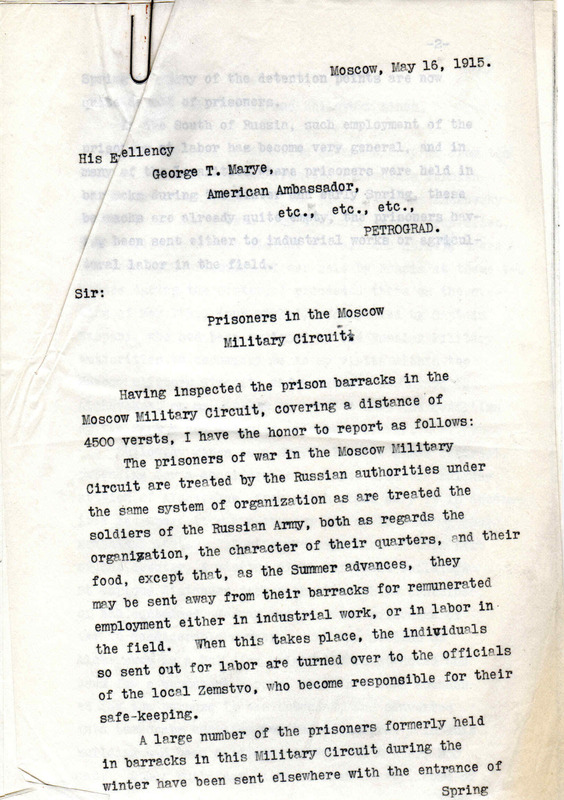 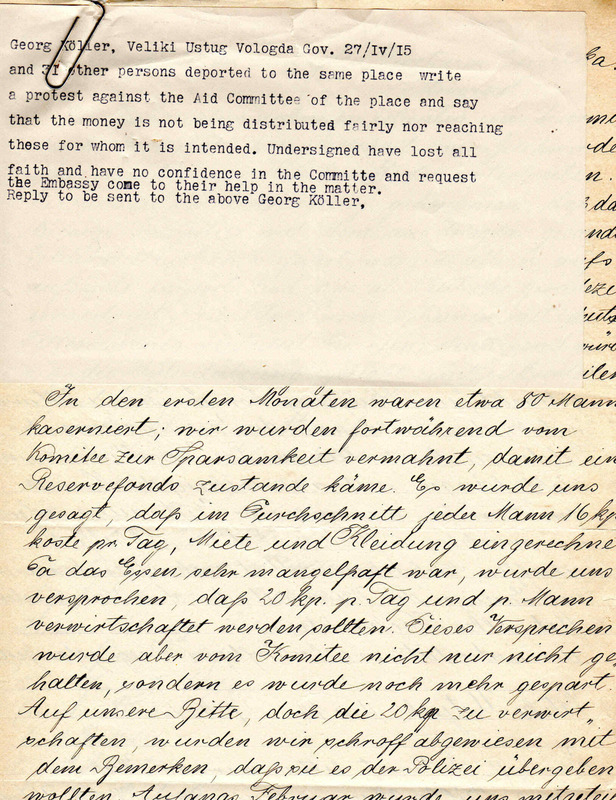 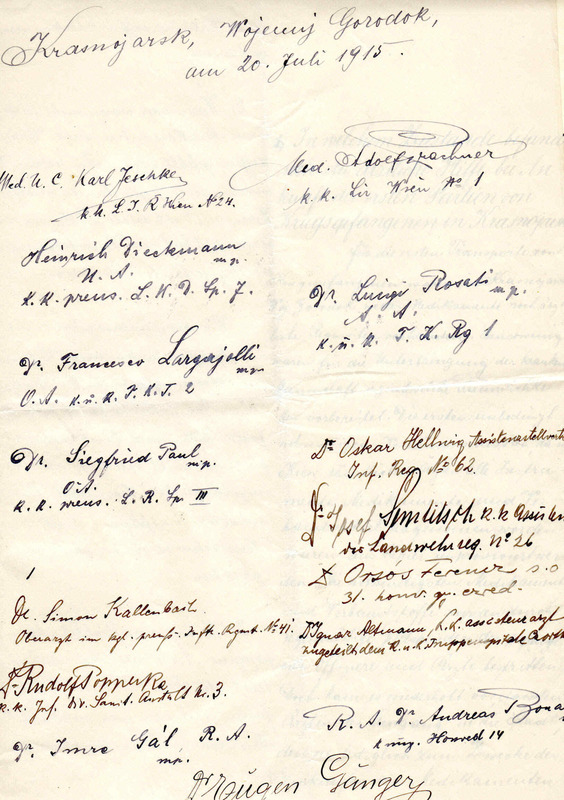 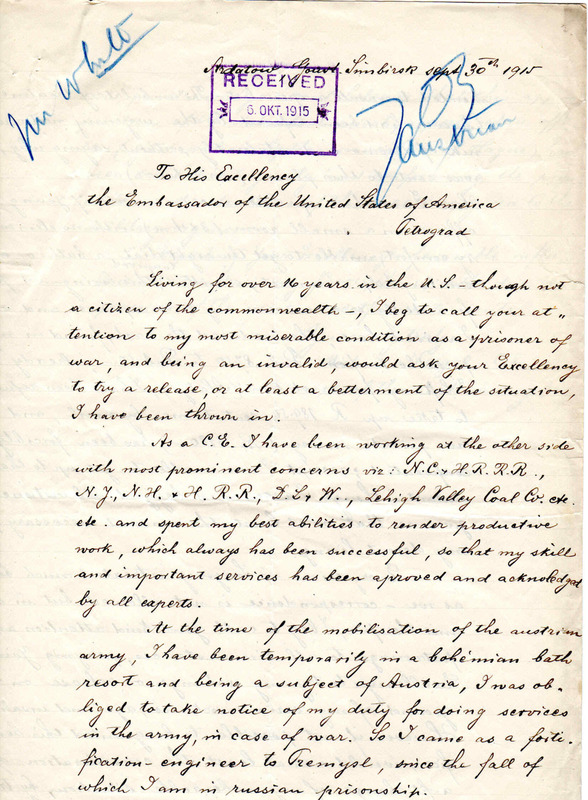 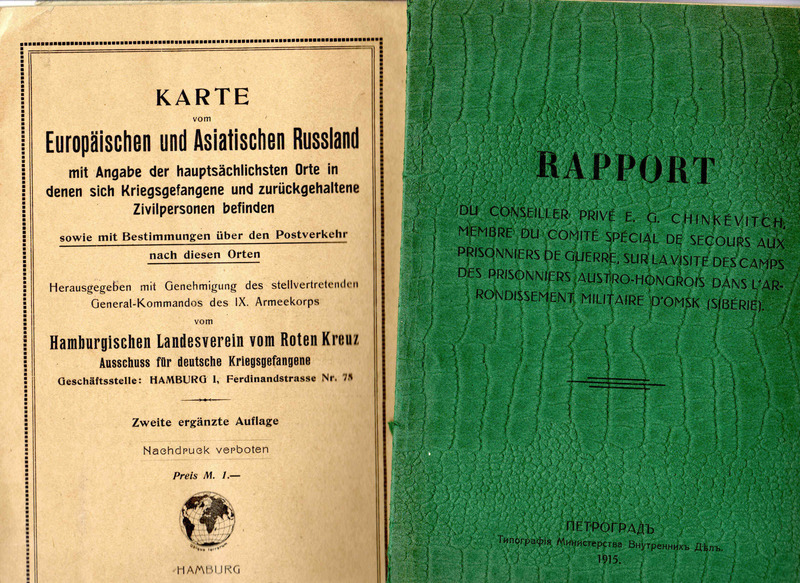 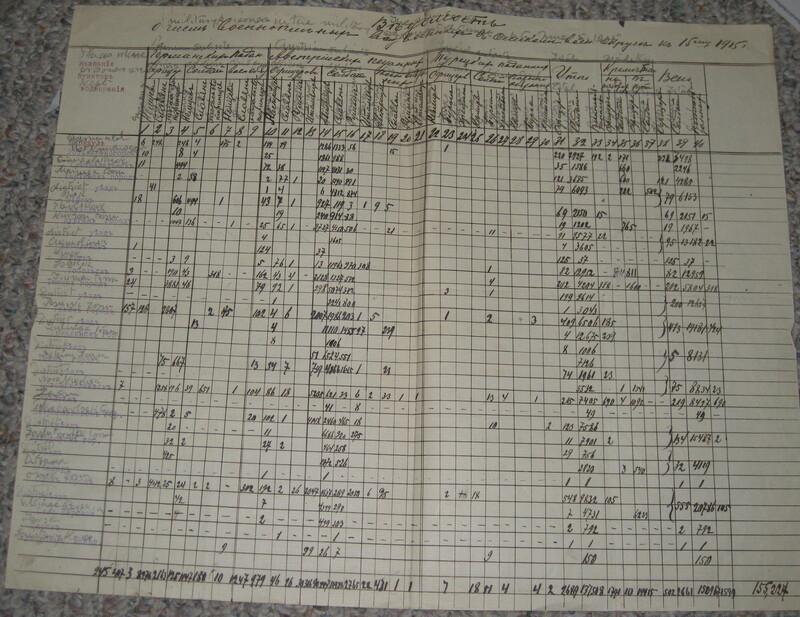 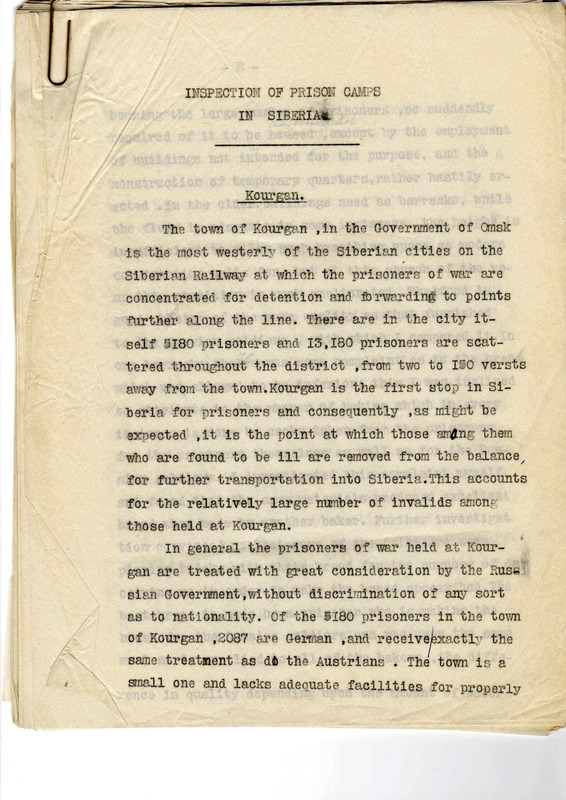 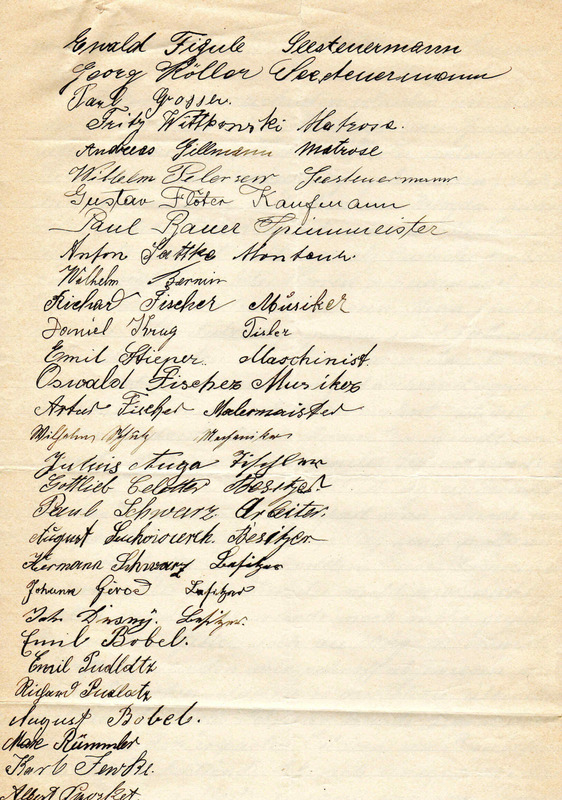 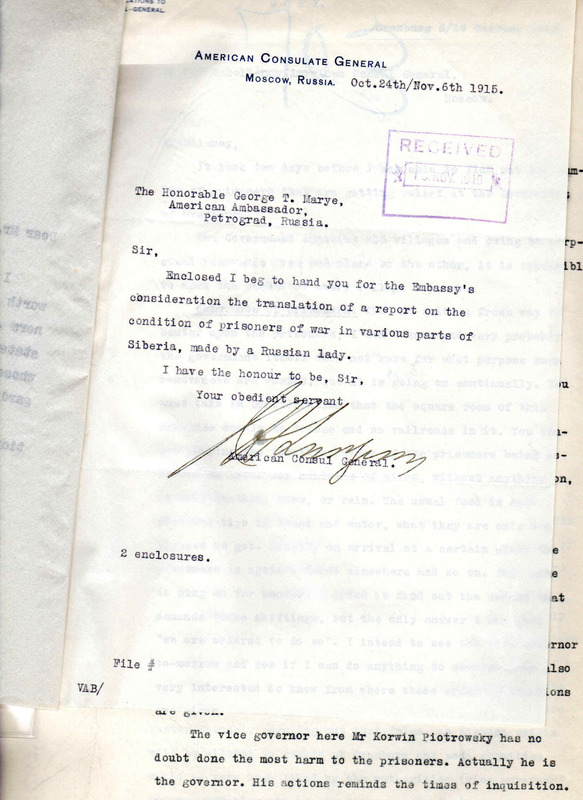 Documentation of several hundred pages, starting in February of 1915, where the American Embassy in Petrograd, Russia has been asked to look into several complaints of prisoner abuse. 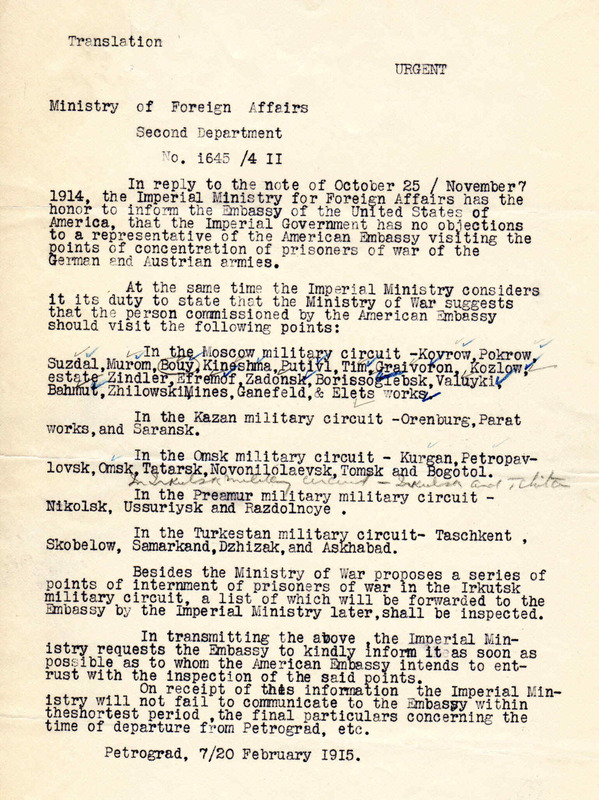 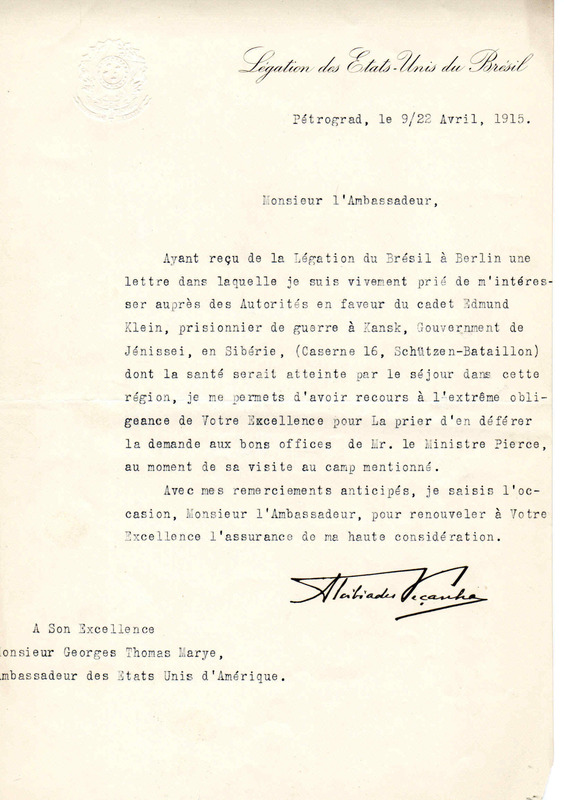 The request come from the German Embassy and the Austria/Hungarian embassy. 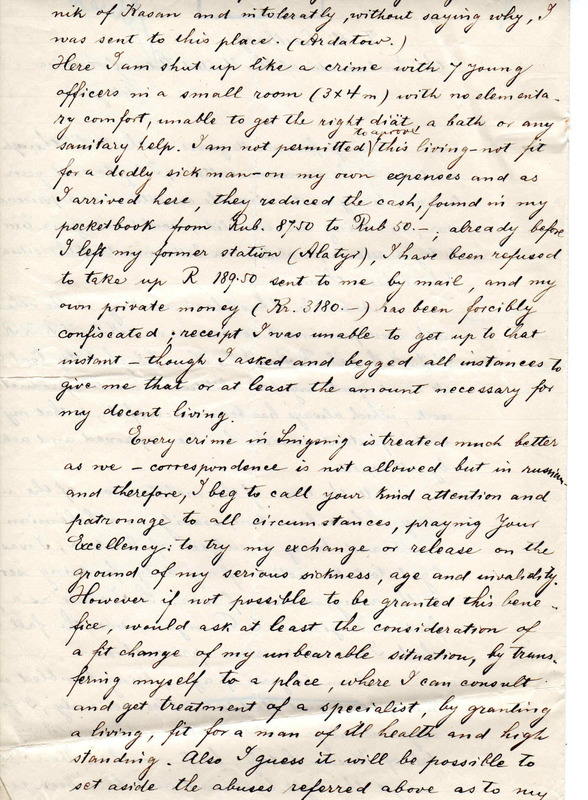 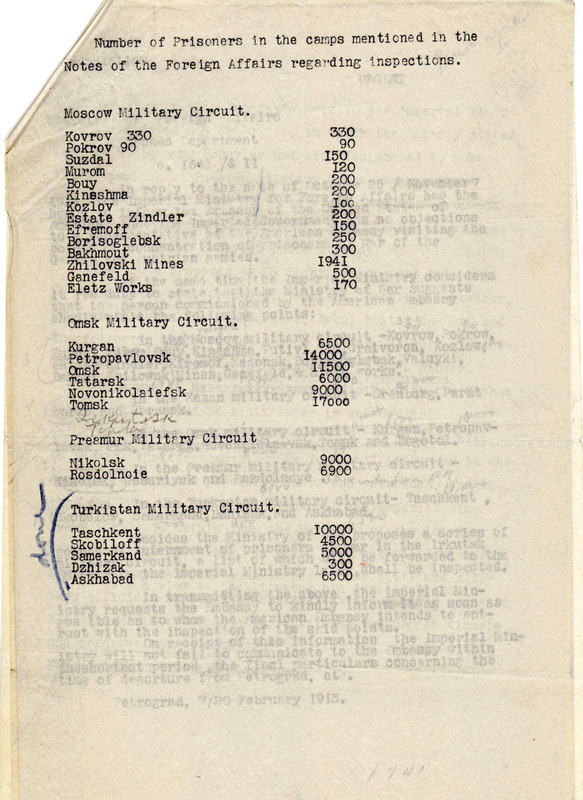 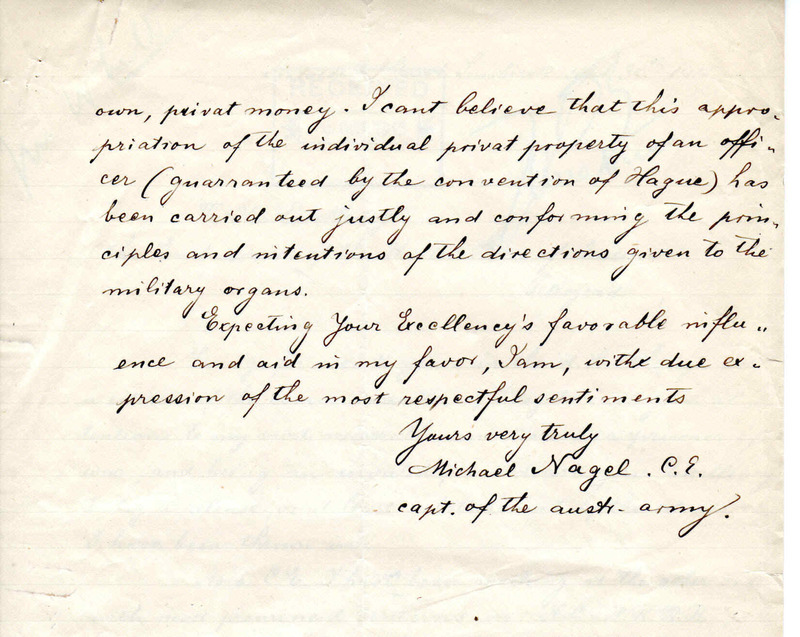 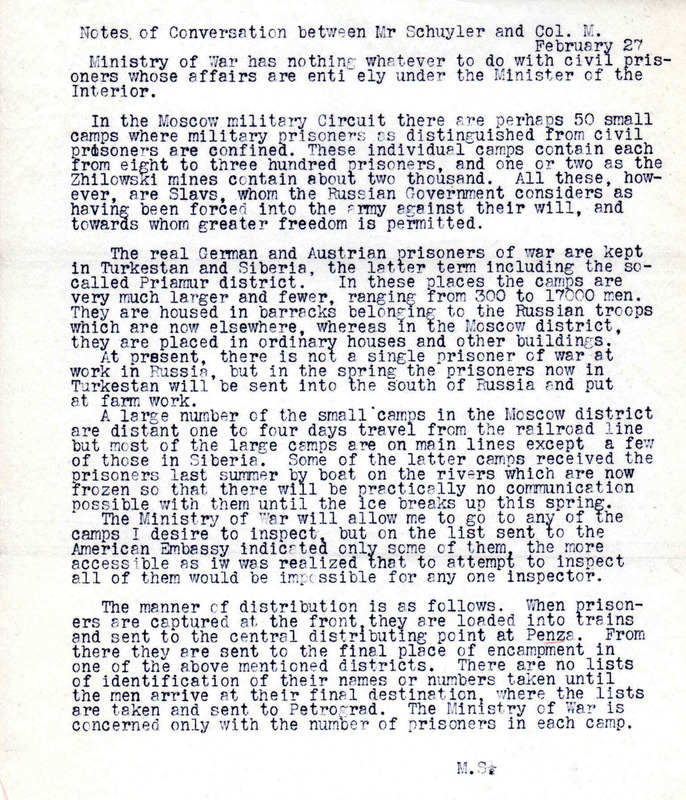 There are several reports, original prisoner abuse letters, "muster rolls" of the ethnicity and occupation of the POWs, etc. 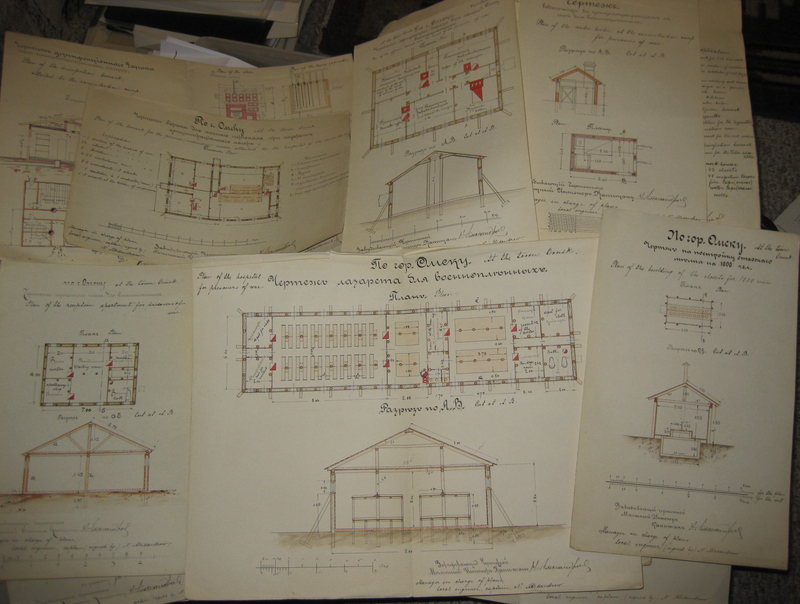 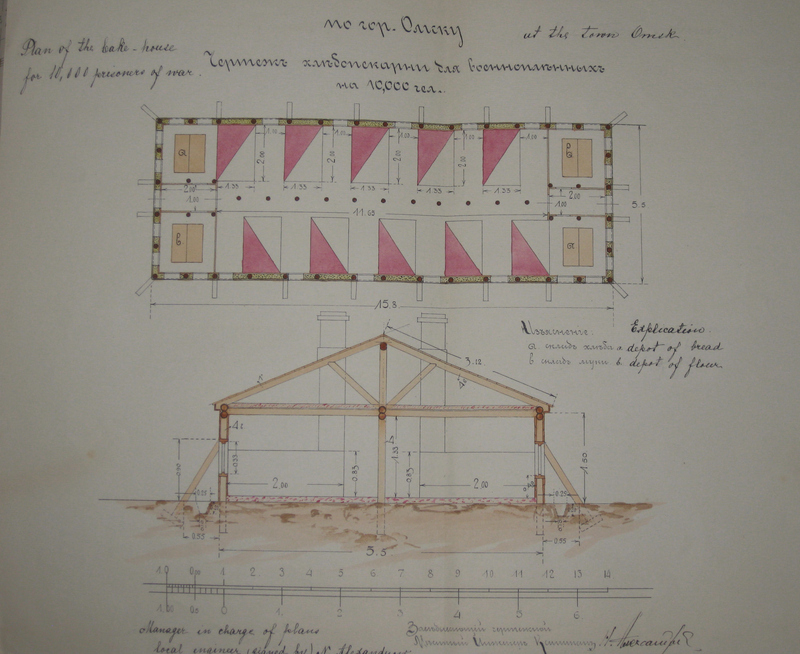 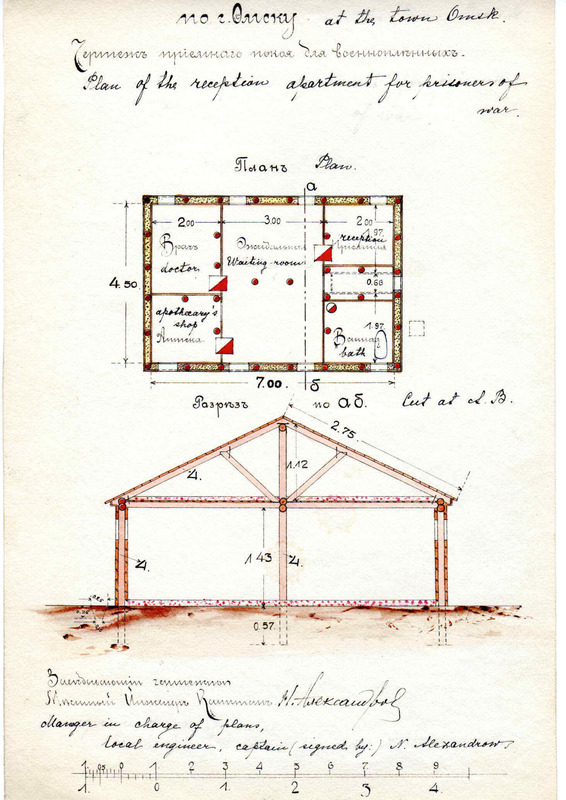 Also included in this grouping are handcolored drawings by a Russian military engineer for the construction of a new POW camp at Omsk. 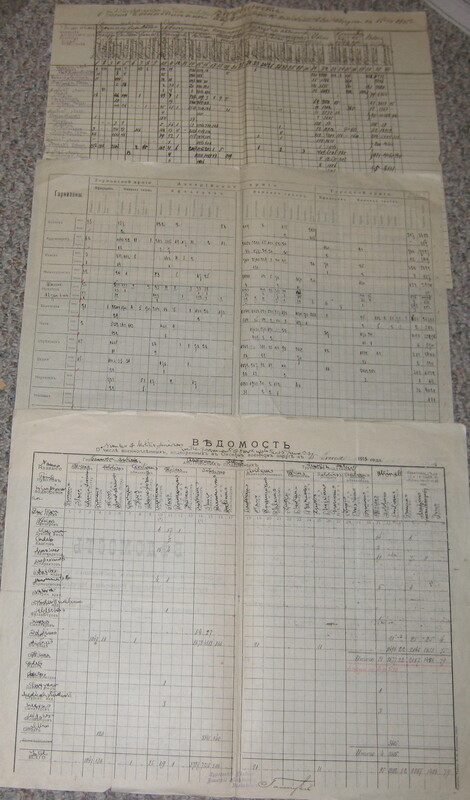 The documents are in Russian with translated notations. 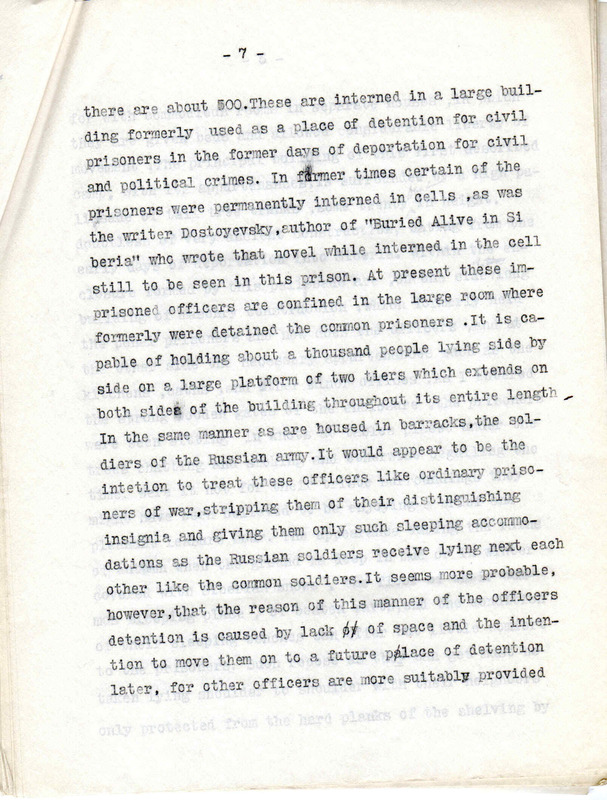 Please review all the photos posted, though they only represent a small portion of the archive.